"The concert was a joy, and the audience was captivated, as you could tell from the standing ovation....Each musician played with virtuosity and flair, and the ensemble's performance was dynamic, expressive, richly colored and affecting." "Ensemble Aubade's magnificent concert was a memorable Fall event for our audience. The program featured rich interpretations and beautiful contrasts played sensitively and virtuosically. The concert opened with a dazzling performance of Ravel’s Sonatine en Trio, and then offered a witty and charming performance of a suite by Rohozinski. New to all of us was the spare yet elegant Trio des Trois by New York composer Bernadette Speach, who joined us in the audience for Aubade’s debut performance of her piece. Dr. Speach was clearly thrilled, as was the audience. The high point of the evening was Debussy’s incomparable Sonata for Flute, Viola and Harp, rendered brilliantly by Ensemble Aubade – a fitting celebration of the 100th anniversary of this chamber music masterpiece." Ensemble Aubade (Peter H. Bloom, flute; Francis Grimes, viola; and Mary Jane Rupert, harp and piano) performs vivid chamber music by European and American composers. The esteemed trio, based in Boston, concertizes throughout the United States, winning praise for stellar musicianship, vibrant performances, and engaging residencies. Click below to listen to Ensemble Aubade in concert, performing music by Robert Russell Bennett. The famed Broadway arranger pays tribute to his illustrious colleagues with a flute-viola-piano composition called Seven Postcards to Old Friends. The movements are: 1. Irving Berlin, 2. Jerome Kern, 3. Richard Rodgers, 4. Vincent Youmans, 5. Cole Porter, 6. Noel Coward, 7. George Gershwin. 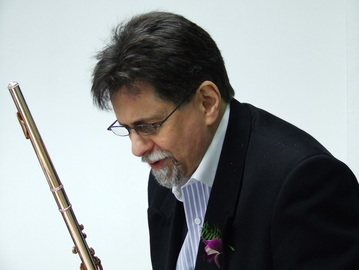 Peter H. Bloom, flute, concertizes in the U.S., Canada, Europe and the Far East; appears on 45 recordings; and is a winner of the American Musicological Society’s Noah Greenberg Award. The Boston Globe called his playing “a revelation for unforced sweetness and strength,” while Jazz Improv hailed his "exquisite melody.” An active recitalist and chamber musician, he has performed for The National Gallery in London, Animusic Portugal in Braga, New Zealand School of Music in Wellington, University of Canberra College of Music (Australia), Payap University in Chiang Mai, Goethe Institute in Bangkok, The Metropolitan Museum, Atlanta's Spivey Hall, The New York Flute Club, The Bach Festival Society of Winter Park Florida, and the National Gallery of Canada in Ottawa, among others. He is also a noted jazz artist, veteran of the legendary Aardvark Jazz Orchestra (46th season). He has given lectures and master classes across the globe and has served as historical performance consultant to The American Museum in Britain, The New-York Historical Society, and The Museum of Fine Arts Boston, where he performs and lectures regularly. He is contributing editor for Noteworthy Sheet Music. He holds an MM with distinction in flute performance from New England Conservatory and a BA (philosophy) from Boston University. ​Francis Grimes, viola, is an esteemed chamber musician, orchestral player and educator. He has performed with the Boston Pops, Boston Opera, Masterworks Chorale, Sinfonova, Boston Ballet, Pro Arte Chamber Orchestra, and other premier ensembles. He concertized nationally with the Star Wars Orchestra and performed with choral groups in tours of Italy, England and the Czech Republic. He regularly serves in the orchestras of the Colonial, and Schubert Theatres. Mr. Grimes has served on the faculties of Milton Academy, All Newton Music School, Community Music Center of Boston, the Rhode Island Philharmonic Youth Orchestra, and the Young People’s Symphony of Rhode Island. He attended Boston University’s School of Fine Arts, and completed his BM at Indiana University as a student of William Primrose. He attended summer programs at Tanglewood and the Music Academy of the West in Santa Barbara. 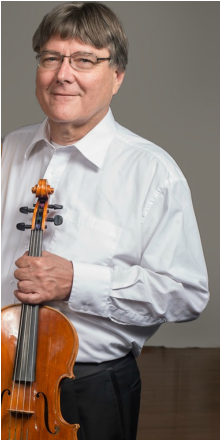 He also studied with Roman Totenberg, Bernard Kadinoff, Eugene Lehner, and members of the Berkshire String Quartet at Indiana University, and the Fine Arts Quartet at University of Wisconsin-Milwaukee. Mary Jane Rupert, harp and piano, praised by The New York Times as exhibiting "indeed real sensitivity," has performed throughout the world from Carnegie Recital Hall to the Beijing Concert Hall. She has appeared as concert pianist and harpist with chamber ensembles, choral groups and orchestras across the United States, including the Record Players, Musica Sacra, Cecilia Society, Masterworks Chorale, the Boston Philharmonic, the New Hampshire Symphony, and New Philharmonia. She serves on the faculties of Boston College and Tufts University. 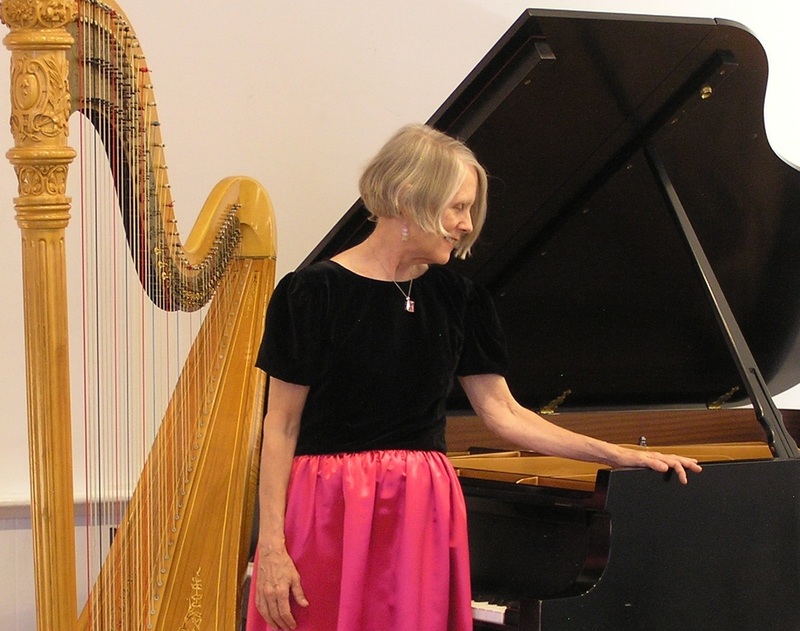 Previously, she held teaching positions at Missouri Western College, Western Michigan, MIT, and Wellesley College, where she taught harp for 20 years. Dr. Rupert's recordings can be found on the North Star label and Harmony Hill. Her arrangements of the Nutcracker Suite for Flute and Harp and Flute and Piano are published by Noteworthy Sheet Music. A graduate of Oberlin College and Indiana University, she earned a BM in piano performance, Masters Degrees in both piano and harp, and a doctorate in piano performance. Her principal teachers were Gyorgy Sebok and Lily Dumont (piano), and Marcel Grandjany (harp). Photos: Matt Samolis, Chris Cheon, Mongkol Chayasirisobhon, John P. Campbell, Heloise Tanglewood. Video editing: Mark Gardner.